Competition: Photo of the Year! 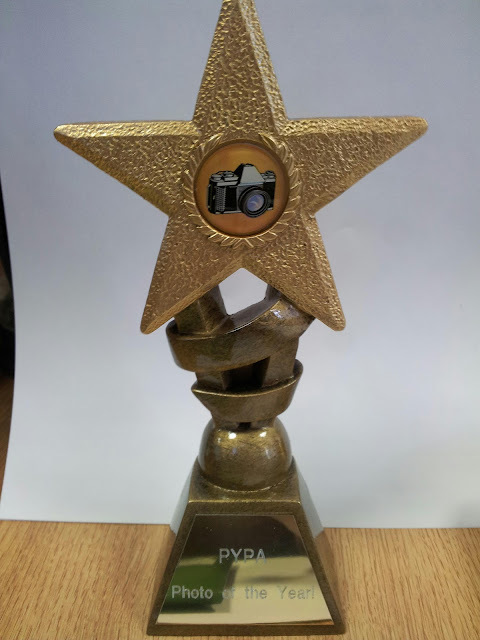 Do you want to earn the rank of best YPA photographer and be the first recipient of the PYPA "Photo of the Year" Trophy? Well here is how you can, simply submit your best photos from any PYPA (or joint) event to the committee either by Facebook, Twitter or Email between January 1st 2013 until 1st December 2013. The committee will pick the best five photo's of the year and give the PYPA the chance to pick their favorite. The winner will be presented with the trophy at 2013 AGM. Committee members are allowed to enter and vote. In the event of a tie the committee will make the deciding vote. If this again is tied the president will make the final decision. The committee's and president have the final word on any dealings with the competition. The Trophy remains the property of the PYPA. The winner will hand over to the subsequent winner on the following AGM. If the winner leaves the association the trophy must be returned to a member of the committee. Yes the PYPA as joined the Social Media revolution with both a Facebook page and a Twitter Account, pick your choice or if your rocket keen follow both! Of course we will always have our website. What we need from you is photo's, do you have pictures from recent events, if so sent them in and see the best put up online. If you have ideas for events or want to see something more from your PYPA please let us know. It may have taken a while to finally organise but I can say it was worth the wait! We had a good turnout of 11 racers who were ready to compete for podium position. The racers first completed their practise qualifying laps and then it was on to the race.bIt was a tense and exhilarating race with Ben and David fighting for first place! However from a devious undertaking maneuver from Ben sent both himself and David into the barrier on the second to last lap! And from out of nowhere Chris raced into the lead to won the race! And everyone else who took part! Ashley Baker - 2013. Simple theme. Powered by Blogger.